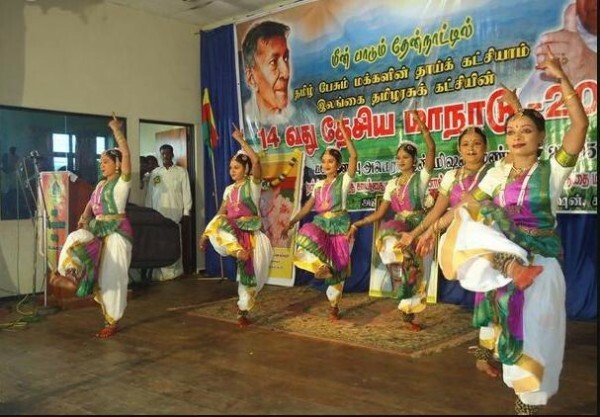 From its inception in late 1949 as the Tamil Federal Party, the Ilankai Thamil Arasu Kadchi (ITAK) – a party which, as the late Lakshman Kadirgamar once claimed in Parliament, was founded by a “dedicated group of principled men” – has been in the forefront of Sri Lankan (and Tamil) politics. It has come to play a dominant role in the writing of different chapters of Sri Lanka’s post-independence political story. The recent speech delivered by Mr. R. Sampanthan at the 14th Annual ITAK Convention (May, 2012) marks the opening of a new chapter, or the beginning of an important and critical phase of post-war Sri Lankan politics. What could be the impact of this speech? In a polarized and fragmented political context, how do we first make sense of what was said, without rushing to oppose it? How might it influence Sri Lankan politics in the future, and in particular, the course and relevance of Tamil and Sinhala nationalist politics ? Whether the realization of this solution is possible or practical, is a critical question. But by this I don’t propose to argue that the ITAK (or the Tamil National alliance – TNA) should claim something far less or that it should only accept what is practical and realistic (i.e. the 13th Amendment, even less). It’s one thing to assess the reality of the situation, but it’s an entirely different thing to inform a political movement that just because your ‘reality’ tells you that a united Sri Lanka is impossible it is better for the other to accept that reality and live with it. To return, however, to an assessment of the ground situation: it is becoming very clear now, that there is no way in which a political solution going beyond 13A can be devised. Even the mere implementation of 13A seems a fantastic dream; already the complete repeal of the 13A has been advocated. In any case, any discussion about going beyond 13A (or reaching 13A plus) should be viewed from the perspective of the existing political climate, the political will, public perception, the independence of the judiciary, and a whole host of related factors. ‘Beyond 13A’ does not seem to be a destination that a majority is willing to reach. If then, what will happen? The Government will not rush to repeal 13A. It will see in the recent advice and argument of Dr. Dayan Jayatilleka – the retention of the 13A but the non-implementation of it (until the secessionist threat recedes) – a brilliant way of justifying the current impasse. Sadly, I cannot agree with this piece of advice for a number of reasons. While it appears to have a ‘progressive-realist’ element, this policy is also an immensely problematic one, the implications of which even Dr. Jayatilleka may not have considered adequately. Why is this problematic? To sustain this policy, the Government would need to consistently and deliberately project the ITAK (or TNA in general) as an extremist, secessionist, outfit; a dangerous policy which, inter alia, indirectly transforms the Tamil population that elected the ITAK/TNA into an extremist population. This also means that no attempt will be made, in the near future, to make meaningful progress on political negotiations. The Government would also need to, while doing this, project the ITAK as an utterly impractical and naïve political group. This is done by constantly reiterating the claim that the ITAK/TNA rejects 13A (a reason why, viewed from the ITAK/TNA position, it would need to carefully clarify its position in the near future). This claim, I tend to believe, is based on an inaccurate understanding of the TNA’s critique of 13A: for what has been critiqued is 13A as a final solution to the conflict (an aspect which is conveniently ignored by those who claim that TNA rejects 13A). But that is precisely the strategy, because to project the ITAK/TNA as a naïve set-up is to claim that it totally and completely rejects the existing reality (i.e. 13A which is part of the Constitution). And this pushes the ITAK/TNA into the naïve/impractical/unrealistic abyss. The more you push it, the more necessary it is for the ITAK/TNA to come out of it, and the more they try to come out of it, the more confused their political message begins to look, deviating at times from the positions held by others within the Tamil polity; for now, they would need to critique 13A, and then proceed to explain why it accepts it, even in parts. 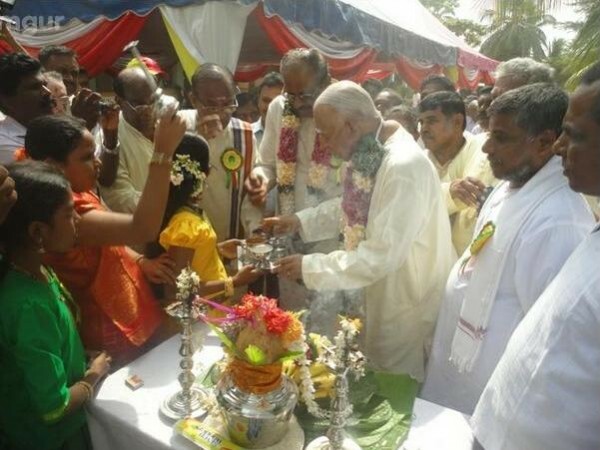 And this, in turn, is a recipe for further fragmentation within the Tamil polity. And in a polity which anyway isn’t favourably inclined towards 13A, all this becomes confused and unnecessary blabber! And in this process, one would soon forget that the question which was far more relevant to the topic, or fundamental (soon after the war) was not whether the ITAK/TNA was practical and ready to accept 13A, but whether there was willingness on the part of the Government to implement 13A in the first place. But there is another implication arising from this policy advice about not implementing 13A: it reaffirms, wittingly or unwittingly, the accuracy of the deep mistrust and doubts harboured by the Sinhala nationalist element about Tamil nationalist politics (and the TNA, in particular). In short, it proves that however ‘less-sophisticated’ their arguments appear to the ‘sophisticated’ mind, the Sinhala nationalist element is correct. This is why the new chapter in Sri Lankan politics has all the signs of solidifying (at least in the coming few years) the Sinhala nationalist arguments about the unitary constitution and the secessionist threat posed by Tamil politicians even within the country. Any counter-explanation (or clarification) could amount to a separatist-apology, or a betrayal of the country. It’s here then that the international dimension of the conflict assumes great prominence and importance for the ITAK. It will surely understand the impracticality of realizing its desired political solution without any external pressure; a realization which makes them explore all possible avenues, legal, political, diplomatic, etc. The language of self-determination, from its inception, was ‘loaded with dynamite.’ It’s a language that plays a fundamental role for political movements; a language of strength, one which defines a people’s political aspirations; and a language which, once adopted, cannot be easily abandoned. But it’s also a language domestic political movements find difficult to hold on to, especially in the absence of a strong, armed movement, to support and advocate it; a language which, because of its inherently divisive nature, can even stifle meaningful progress in terms of realizing political aspirations within a united country. A critical question then is: should the old language and terminology have been retained? While it might have been ‘practical’ to adopt a new and different language given the current context, the dominant opinion within the Tamil polity might also have been to answer a far more basic question: would abandoning the language of self-determination serve the purpose of persuading a majority community (or its representatives) in a favourable way? If the answer is ‘no’, which one tends to believe is the answer, it means that even a different language and terminology will attract the criticism (which will be correctly made by the Sinhala nationalists now) that what is demanded is the same goal wrapped in a different language. The ITAK then has not abandoned the language of self-determination (and nationhood). Rather, it has adopted the language of the ‘internal’/‘external’ dichotomy of the right to self-determination in international law. The argument, in short, is: that there is a “right to internal self-determination” applicable to a people in international law, and where the realization of that right is denied, such a people will claim the “right to external self-determination” (i.e. independence). Now, a small digression is required. Not being an advocate of the liberal school (that places much emphasis on ‘rights’), I hesitate to endorse the existence of a clear ‘right to internal self-determination’ in international law. Basically, the language of ‘internal self-determination’ became prominent in international law jurisprudence due to the writings (published mainly in the 1990s) of mainstream international law scholars such as the late Antonio Cassese, Alan Rosas, Patrick Thornberry, et al. It also emerged, not as a right to autonomy to minority groups, but rather as a broad right to democratic governance (and if one goes back to the deeper origins of this language, it comes across as a distinction made by the Netherlands to create rifts between the republicans and the federalists during the negotiation re. Indonesia’s independence, as Prof. James Summers has argued). This terminology was later picked up by the Canadian Supreme Court (in re Secession of Quebec), and from then on, the language of a ‘right to internal self-determination’ became prominent. Rather, what is to be preferred, from an international law (and political) perspective is the assertion of the clearly existing right to self-determination (without salami-slicing that right), and having claimed that right, the task of any political movement is to express how that right to self-determination is sought to be exercised internally within the framework of the State. From this perspective, ‘internal self-determination’ refers to one dimension of self-determination; a dimension which is recognized in international law (most valuably, by the African Commission on Human Rights). “The Tamil people of the north and east constitute a distinct nation, equal to the Sinhalese. As such they have the intrinsic and inalienable right of self-determination, which includes the right to set up their own independent and sovereign state… However, like the right to divorce, it is one thing to support this right and another to support, at a given time, its exercise in the form and modality of separation. For the right to self-determination can be exercised in numerous forms – federal, semi or quasi-federalism, confederal, regional autonomy, and so on ” (ibid, p. 74, emphasis added). Those predilections aside, however, the adoption of the language of ‘internal self-determination’ will tend to become prominent in the ITAK/TNA’s demands for devolution and political autonomy in the future. Going by the submissions made before the ICJ in the Kosovo case, it will be a language that will be acceptable to many States, also given the absence of the LTTE (unlike during the ‘Oslo Declaration’ days). Given the non-violent nature of the conflict, we are perhaps witnessing a chapter in which the ‘international community’ might come to recognize (or will be more willing to recognize) the conflict as a ‘self-determination’ conflict; while respecting, of course, the sovereignty and territorial integrity of the country. And yet, adopting this particular language would not guarantee immediate political success. As mentioned before, the very term ‘self-determination’ is frowned upon by a majority community, and obvious references will be made to LTTE’s claims (see, for example, the arguments based on ‘internal’ and ‘external’ self-determination made by Anton Balasingham in War and Peace: Armed Struggle and Peace Efforts of Liberation Tigers, 2004, p. 405-408). Also, there is still that inherent vagueness and indeterminacy that needs to be constantly addressed, arising due to the narrow and broad nature of the language of self-determination: i.e., the belief that ‘self-determination’ is too broad and divisive a term makes a group demand ‘internal self-determination’, but because it begins to appear narrow, it now needs to explain that demanding ‘internal’ self-determination is not to forget their right to ‘external’ self-determination, which then, in turn, is vulnerable to attack from the opposing camp on the basis that all that is happening here is a shifting and moving of words to attain separation). Also, there will be an increasing tendency on the part of the Government to define the conflict in terms of other languages; the language of economic development (which is already happening), or security, of equality and non-discrimination, etc. Each language comes with its own set of proposals for conflict resolution. For the ITAK, however, the great and looming paradox is clear: In the absence of a political culture that is able to appreciate the developments in the law of self-determination, its nuanced character, its different dimensions etc., not much progress can be made with this language. But in a culture which is anyway not ready to understand any other meaning of ‘self-determination’ (given the history, suspicion, fears etc. ), what is a political movement to do? Firstly, Mr. Sampanthan claims that “we should act strategically, with the awareness that global powers will act based on their domestic interests.” But the influence that diaspora-bodies exert on the domestic interests of States will still come to retard the political progress internally, since every single act of pressure exerted by such bodies overseas will be related to the above mentioned strategic goal of the ITAK. Secondly, too much reliance on the ‘international community’ makes ITAK vulnerable if the ‘international community’ suddenly begins to shift the goalposts. Viewed from the ITAK perspective, it needs to be both close and distant from the ‘international community’, especially in an environment where no State can be trusted. This is perhaps why Mr. Sampanthan makes a critical reference to “global powers”; to suggest that they do not epitomize those virtues they much advocate around the world. Thirdly, the interpretation provided by Mr. Sampanthan of the UNHRC resolution confirms why the result in Geneva is far from the soft interpretation given by certain actors and commentators. As we have pointed out and discussed before, this soft interpretation of the UNHRC resolution suggested that it was simply a toothless piece of paper which only called for the implementation of the LLRC recommendations. But we also highlighted why this was not the only interpretation of the resolution (which is also provided most forcefully and correctly by Sinhala nationalists); i.e. the resolution is a serious indictment. It is this latter form of interpretation that Mr. Sampanthan, interestingly, gives to the UNHRC resolution. As he notes, the “victory” achieved at the UNHRC was a “condemnation against the Sri Lankan government by the international community, which has recognized that the Sri Lankan government has committed the crime of extermination against our people, and that it continues to deny them their political rights”. (emphasis added). Here again, it’s becoming increasingly clear (not that this was unknown) why Sinhala nationalism is going to feature very prominently in this new chapter of Sri Lankan politics; but not only that, why that brand of nationalism will begin to be viewed as a more accurate reflection of political developments affecting the country. So for example, when Dr. Gunadasa Amarasekera claims that the establishment of the LLRC marked the ‘height of naivety’, people would readily agree; not because Dr. Amarasekera’s interpretation was originally correct or accurate, but rather because his interpretation has turned into an accurate description of events given the sheer inability of the Government to implement the LLRC recommendations. All speeches of this nature can often be read and misread, especially Mr. Sampanthan’s. It is not my intention, however, to engage in a detailed deconstruction of the speech to see whether separatism is an option for the ITAK. My position is: it is obviously an option because it is Mr. Sampanthan himself who has stated that so clearly! (i.e. when he argued that the “right to external self-determination” would be the option if the “right to internal self-determination” were granted). Rather, my intention is to briefly state why a speech of this nature could in any case appear to be separatist; so much so that one can (quite literally), without reading a single word or sentence, still argue (and that argument will not be entirely wrong either) that the speech gives rise to the spectre of separatism/secession. Why? Firstly, to state the obvious, it is due to the explicit references to the separatist option (as noted above). Secondly, this happens due to the real absence of proper words, terms or phrases that give clear meaning to certain political goals, aspirations, etc. This is the inherent problem relating to the use of words such as ‘self-determination’, ‘sovereignty’, ‘nation’, ‘government’, etc., all of which evoke the threat of separatism (or refer to a separate existence). Thirdly, and in relation to the above, this happens due to political pressure (coming from within the Tamil polity). To ignore this is to ignore the very fragmentation of Tamil politics, and the manner in which the very TNA that one considers to be espousing a separatist agenda, is attacked by certain segments within the Tamil polity, for not being able to willingly support the aspiration for freedom and independence. This has also do with time and the passing phases of a conflict: history, here, is a tremendous burden, for once a movement adopts separation as its principal aim and comes to be defined by that aim for decades, all movements that succeed face the daunting task of having to argue that that aim is not their goal today. This, then, will be interpreted as a moment when the political movement ‘flinches’ (the 1976 Vaddukoddai Resolution had asked the Tamil nation and the Tamil youth “to flinch not” till Tamil Eelam is established); and to avoid that accusation, the movement needs to constantly refer to old aspirations. I believe, however, that the responsibility here falls on both parties: both the Tamil political party and community), and the Sinhala political community. The task of the former, today, is to clarify whenever possible where doubts arise; to make every effort possible to make the position clear; to understand the concerns that arise in any peace-loving citizen about the threat of separatism/secession; to understand that sovereignty does matter to a lot of people (which any separatist movement cannot fully appreciate until their separatist goal – a ‘Sovereign Tamil Eelam’, for example – is attained!). The task of the latter is similar; to understand the nature and history of the conflict; to understand why what is being said is said in such a way; that given the deep polarization that exists, the task is not to rush hastily, especially to condemn any statement or speech (for that is a most convenient thing to do); to keep in mind the inherent difficulty that arises in articulating political demands, grievances or aspirations; to entertain different interpretations, and where doubts arise, seek clarification. In short, then, we have reached a stage where a spirit of compromise is required. This, however, is not to go down the path of misguided or naïve utopianism (and begin to ‘think like Sri Lankans’) or the path of apologism based on our perceived reality. It is to realize fully the conflictual nature of the problem before us, and reach a compromise which might not be acceptable to all but will be accommodative of the different peoples and nations within a sovereign country. And in this process, it is aggressive nationalism – not nationalism per se – which needs to be condemned. The Tamil nationalist perspective about the struggle was broadly summed up once by Mr. M.A. Sumanthiran of the TNA when, during an interview in February 2012, he was asked the question as to how long the struggle and demand for the rights of the Tamil people in Sri Lanka will continue. The reply was: “As long as it takes! We are not going to surrender our democratic rights which we think is our birthright just because the going is tough.” This message was forcefully reiterated a few months later, by Mr. Sampanthan, at the 14th Convention of the ITAK. It is, one would have imagined, only victory that would await such a people, a nation, a movement, and that much determination and resolve. But of course, this is not necessarily so: the matter does not end there, for a strikingly similar message now emerges and emerges strongly from the opposite camp, the Sinhala nationalists; not only in newspaper articles, interviews, during press conferences or when speeches are delivered, but in the form of books written and published (both fiction and non-fiction), through literature and all other means available. Read, for example, Dr. Gunadasa Amarasekera’s (non-fiction) Amathakawu Urumaya (2011), or even his wonderful (and in a sense, poignant) novel, Gamanaka Aga (2010). At the very end of the novel, Piyadasa (the main protagonist), inquiringly wonders why it is that one has to die, one has to end this journey, without realizing any of one’s expectations (this is, mind you, after having witnessed the end of the war in May 2009). And here, it is Thilakasena’s response which sums up the fundamental message of the novel – a message, if one follows the commentary by prominent Sinhala nationalist writers, comes out clearly in their writings today – and in doing so, stirs and reignites that sense of resolve, purpose and determination in the heart and mind of the Sinhala (Buddhist) nationalist. He informs Piyadasa not to be disheartened, for the lifetime of a nation far exceeds that of a human being, and that their exercise has not been in vain. In this journey, he continues, there will be various obstacles, diversions, setbacks, all of which cannot be avoided for they are part of the journey. And yet, a new generation will begin this journey from where they have left off; for this is a journey without an end (“… nimak nethi gamanak”, p. 253). And with that, the story ends; not the journey. And that is precisely the point. What we are beginning to write and read today is a new chapter of an old story. That new chapter begins with a simple, yet profound, statement: ‘The going is tough, yet the struggle will continue.’ But the problem is not only the fact that after so many years the going is still tough, but that dominant elements within both camps consider this to be a new phase of their struggle. When two sides of the opposing camps think that their struggle has just begun, one knows very well the nature of the conflict. The realization now sinks in, slowly, as to how this chapter will be written in the coming days, months, and years. For the moment, what we can do is to realize that we are, in some small measure, involved in that writing; every word, every sentence, every paragraph, every page, and every footnote of which counts. If then, our task is to adopt a language of responsibility. As long as we can do that – to take responsibility for what we write, to make sense of the situation we are in, to stand by the positions and stances we adopt, to explain honestly why those positions change (if and when those positions do change), to eschew violence – we will have the courage, the inner resolve and conviction, to go on. We need a lot of that, for this is turning out to be a difficult struggle for all.